Amazing and exciting possibilities of these shipping containers include luxury shops, offices, bars, daycare centers, classrooms, container cities, terrain cabins and luxury homes. The clever idea of using steel shipping containers to build houses have spread widely across the world. 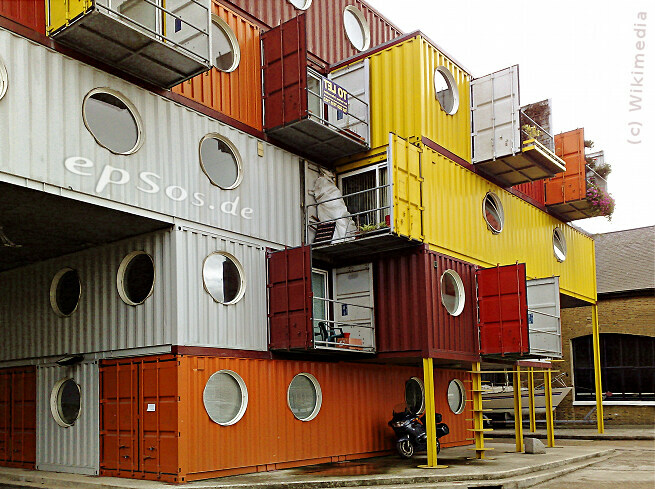 The largest container city in the world is in Keetwonen, Amsterdam used for student housing. This successful housing is spacious, insulated and quiet. Absolutely conducive for studying. Another two exciting container cities are in London called the Container city 1 and 2. Container city 1 was built within 5 months in 2001 with 20 containers providing 15 residential units. Due to the popular demand, these cities have been expanding by stacking more and more containers. 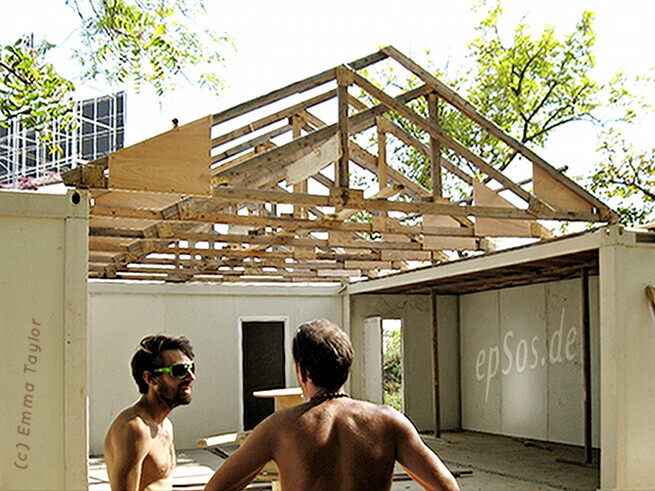 It has been proven that they are cost effective to build and easy for future extensions. Easy container house of Emma Taylor from Flickr.com. Green container house of Angel Schatz from Flickr.com. The top five shipping container houses voted to be the most beautiful and smart are the Four Room House in Belgium, Zigloo Domestique in Canada, Cove Park in the UK, Ross Steven House in Wellington, New Zealand and Manifesto House in Curacaví, Chile. 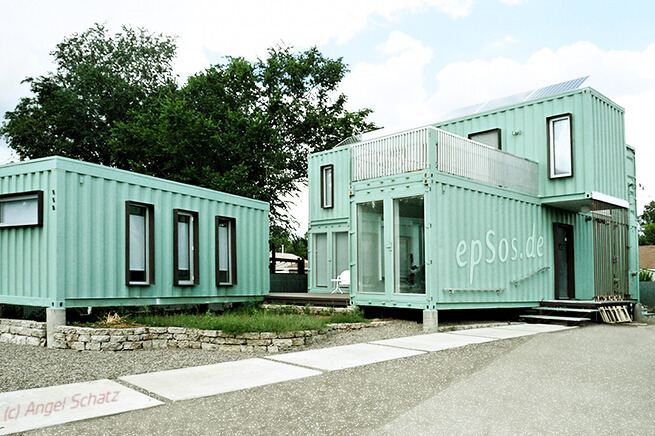 These shipping containers are 75% recycled by weight, can be assembled within a day, flexible, mobile and efficient. 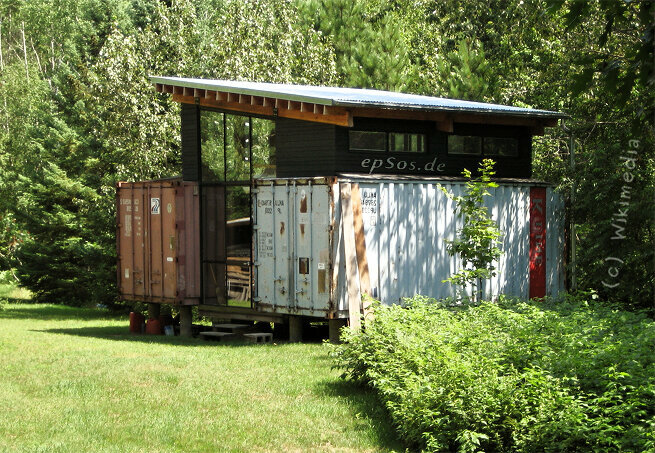 The shipping container homes can be decorated and furnished like any other houses. They can be fully equipped with bathroom, kitchen, balcony, living room, bedroom, huge windows for ample daylight and scenic view and have efficient heating and ventilation systems. According to the owners, they are resistant to mold, fire and termites. Other luxurious decors are also greatly possible, the walls can be insulated, accessories like a pool can be added and external walkways can be connected. These are why shipping containers are innovative ideas for a range of homes from disaster relief shelters to luxury condominiums and vacation homes. A few of the growing list of architects specializing in shipping container homes are Nicholas Lacey, Pieter Peelings and companies like A.B.K Architects and USM Ltd. They are always ready to improvise and invent exciting designs for shipping container homes even the unimaginable ones. The limitless potential of shipping containers homes provide plenty of room for creativity and discovery. Most importantly, it plays an indispensable role in creating a greener world for tomorrow.